Formed in 2005, we were initially a sub-branch of the Leicester Branch of CAMRA, and susbsequently went on to achieve full Branch status in September 2008. 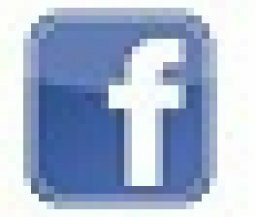 Using either the blue links in the text or the vertical grey menu bar on the left side of each page to navigate our website. From here, you can locate information regarding our upcoming beer festivals (Market Bosworth Rail Ale Festival 2019) and reports of previous years events (Hinckley Beer Festival 2017) and (Market Bosworth Rail Ale Festival Report 2017). You can also find details of other beer festivals within reasonable travelling distance from the branch at (Local Beer Festivals). Find out details in our (Branch Diary) of meetings and social events, including regular mystery mini-bus trips, Black Country pub tours and visits to other beer festivals. There are also details of all the pubs and clubs in the area (Local Pub/Club Guide) and of (LocAle Pubs and Discounts). 2017 marked the 300th anniversary of the birth of William Bass, one of Hinckley's great brewers. In addition to William Bass, William Butler of Mitchells and Butler, was also born in Hinckley, whilst the equally famous William Worthington was born in nearby Orton-on-the-Hill, There were a series of events in the branch throughout the year, celebrating (The Three Brewers) and the unique association between Hinckley and some of the most famous brewers in the world. The (Branch Area Beer History) details the pub and club awards, information on historic pub interiors and lost pubs in Hinckley and Bosworth, and keep up to date with the (Latest Branch News). Please also find time to follow the (Hinckley Ale Trail) as there are great number of really good pubs in the town which are well worth a visit and will provide a rewarding experience. A Halloween themed Quiz Night will be held at The Greyhound on Tuesday 29th October 2019. 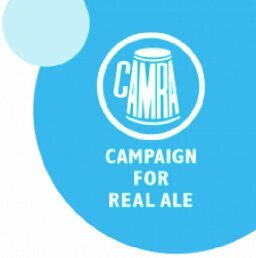 Click for CAMRA's discussion forum The Campaign for Real Ale (CAMRA) is an independent consumer organisation whose major objectives are to maintain consumer rights and choice with regard to UK beer and pubs. We are a voluntary organisation with over 180,000 members and have been described as the most successful consumer group in Europe. CAMRA promotes good-quality real ale and pubs, as well as acting as the consumer's champion in relation to the UK and European beer and drinks industry. CAMRA HQ - 230 Hatfield Rd, St Albans, AL1 4LW. Tel:01727 867 201 CAMRA HQ email.